Tombstone Arizona history is a fascinating time-line. It involves pioneers, cowboys, mining and the Wild West. It includes Native Americans struggling for their land & survival. It also contains the stories of immigrants with their own struggles. This 1848 German immigrant was actually the first person in the true history of Tombstone Arizona. He had a mining degree, and some mining experience in Europe. He was hired by Charles Poston's mining company and quickly rose in the ranks. In 1857 Brunckow explored the area West of what's now Tombstone's territory. By 1859 he'd quit Poston's crew, and opened his own business. He hired three mining professionals, and some laborers from Sonora Mexico. In 1800s Arizona history, the area surrounding Tombstone was well-known for fear of Apaches. Brunckow's silver strike became known. But few risked going into that area. Renegade Apache bands made raids on travelers and settlements around there. That kept most from any mining ventures. Only some did any mine exploration. They'd find mineral evidence, but then back off because of Apache fears. Some met their death. This fear continued on settlers' minds for quite a while. Even so, they eventually came to Tombstone, as it was settled. The settlement itself seemed to provide a protection. Tombstone Arizona took a more well-known historic turn with the arrival of this man to nearby Camp Huachuca. Ed Schieffelin shadowed a military crew seeking some renegade Apaches. He had previous experience as a miner. He aimed to eyeball rock conditions for minerals. He liked the military protection, yet felt they hemmed in his freedom to search the area. But instead - he found silver-promoting geology about 12 miles East of the former Brunckow mine. It was August 1, 1877 when he put in his first claim for his "Tombstone" mine. Then 2 more mines called Graveyard No. 1 and Graveyard No. 2. Ed needed help to work his mines. His brother Albert came to town. Together they recruited Richard Gird. Gird was good at mining business development. He had assaying knowledge and financial sense. The Schieffelins and Gird used the old Brunckow Mine buildings for assay and offices. In late February 1878 they were ready to go. First they struck into the Ground Hog, then the Owl Nest. The Lucky Cuss was a vein also containing gold. They traced a difficult vein, named the Tough Nut! They all knew they'd found a ground full of wealth!! Two miners, Hank Williams & Oliver Boyer, entered the scene asking prospecting advice. They shook on an agreement with Gird's party. Gird would assay for them, give them prospecting tips and help. In return Gird and the Schieffelins would get a share from their findings. Williams & Boyers filed a claim named the Grand Central. Gird discovered what he regarded as their subterfuge and angrily confronted them. Williams claimed he did plan to include them and honor the bargain. He then portioned off an area of the Grand Central for Gird and the Schieffelins. It was suitably named The Contention mine. All 5 of these men, along with Thomas E. Walker, wrote the Tombstone Mining District bylaws. They submitted them in Tucson to the Pima County Recorder on April 7, 1878. Tombstone was on its way to becoming a town. Reports spread about the Tombstone Mining District and its silver strikes. Anson P.K. Safford was appointed Arizona Territorial Governor in 1869. Tombstone was on his radar for mining ventures. Safford and his friend John S. Vosburg, a Tucson gunsmith, organized the Tombstone Gold and Silver Mill and Mining Company. They gathered in partners, bought up mine claims (including the Lucky Cuss & Tough Nut), obtained water rights, and built a mill along the West side of the San Pedro River. Don't Miss Out - Stay in the Loop! Subscribe to Tombstone Tips Today!! Richard Gird became the superintendent for that mill. A combination assay workroom, office, and home was built next to the mill. Richard then married Nellie McCarty of San Francisco. They set up their household in the mill bungalow. It had a view across to the town eventually known as Millville. Across the river, another town overtook it in popularity - Charleston. More mills were needed, as more mines were developed. The Contention Mill was erected on the East side of the San Pedro River. Another was the Sunset Mill. A town supplying their needs was Contention City. One of the mines right in Tombstone was producing water - the Sulphuret Mine. The owners, the Girard Gold and Silver Mining Company decided to build a mill there in town, since it had a water supply. It was the talk of the town, a local innovation! It started up on February 11, 1882 - becoming a source of the Tombstone Water Company. From 1879 to 1882, Tombstone attracted experienced mining men. The suppliers and caterers of mining men's needs followed. The town was expanding rapidly! The natural area of Tombstone Arizona is high desert - the Chihuahuan Desert. Water is scarce. If you were a new miner in town in 1879, you'd have to think about where to get water! Likely one of your first thoughts!! A few natural springs were around. Trouble is, some men had taken "ownership" of them. They began charging inflated prices for drinking water. Miners nicknamed the place "Gouge-Eye" - but its official name was Watervale. About 3 miles NW of town. Mr. D.S. Chamberlain had 2 wells near town. He offered to bring water to the miners for a price. It was a better deal. The problem was his wells were unreliable, especially in the dry late spring and early summer. Alpheus Lewis was an early character in Tombstone Arizona history. He filed the Richmond townsite claim in early 1879. This waterless location is Southwest of today's Tombstone downtown area. Lewis purchased a nearby spring with a plan to pump water from it, but it never happened. Those wandering into the mining area to work tended to settle on the West side. Called Gird Camp, it was often locally referred to as Upper Town. (Today locals still refer to the area as "Uptown.") New folks often lived in tents and lean-to's; but some built adobe houses. The first merchant, John B. Allen, opened a store and boarding-house. It was in a wood-framed/tent-like structure. Other businesses sprung up - restaurants were necessities; a butcher shop also opened. Mining brothers Samuel and Charles Calhoun bought 320 acres called "Goose Flats." This land made it easy to pull wagons up to their Mountain Maid claim. Thomas J. Bidwell, a friend of Richard Gird, talked them into giving up 80% of the rights to Goose Flats in March 1879. The Calhouns made Bidwell agree he'd organize it into a town-site, have it surveyed, and promote it into a livable community. James S. Clark and partner, Charles Cook, were together in San Francisco real estate. They became interested in mining and investment. That brought them to Tombstone Arizona in March 1879, historical timing! The Tombstone Townsite Company and Clark, Palmer and Company had a goal: Tombstone as a town, and a financial project. A surveyor was hired, and a grid pattern established for streets. The main business road was named Allen Street, after Tombstone Territory's first merchant. They filed the Townsite claim in Florence AZ, at the U.S. Land Office on April 19, 1879. The recording was accomplished April 22nd at the Pima County Recorder's Office. Referred to as New Tombstone. Over nearby Richmond, it was awarded its own Post Office that spring. Autumn brought Justice of the Peace co-appointments: Michael Gray & Thomas J. Bidwell. Town leaders petitioned for town incorporation. They considered changing the name at that time. They decided to keep it Tombstone, since many business references were already associated with that. It actually outlined where the "red light" district was allowed - East of 6th St. & South of Fremont St! Two banks - The Pima County Bank in the Pioneer Store. Safford, Hudson & Company in the Vizina & Cook Building on the NE corner of Fifth & Allen. Many other businesses were around town. Some supplied needs of mining operations. Others catered to desires of employees in their off-hours. Still others met requirements of ranchers in surrounding Tombstone Territory, when in town. Lodging was always needed. Ranchers, Cow-boys and distant miners came to buy supplies, arrange cattle deals, do banking and other errands. They often ended the day with a meal, some gambling, saloon visits, and perhaps a visit to the Red Light District. Other travelers would pass through, or visit, and need a place to stay. The San Jose House was the first hostelry opened in town. Built in November 1879 by Samantha E. Fallon. Originally had 20 rooms. Still there today, on the NW corner of Fremont & Fifth Streets. The Mohave Hotel followed closely after. It began as a wood-framed tent-like building on the corner of Fourth & Allen Streets. Owner, Charles R. Brown continued improving it. Turned it into an adobe structure, with the entrance on Fourth. He later changed the name to Brown's Hotel. The Rural House was built near the end of 1879. It had an excellent restaurant. Located on Allen Street, near Fifth. Charles Brown partnered with faro dealer Sylvester B. Comstock to finance The Grand Hotel. (Allen St. frontage still exists. It's not the same Grand in Tombstone today.) Entrance on Fourth Street, it extended East along Allen Street. Called "the most elegant" hotel in the state, it opened in September 1880. Bar and restaurant on the first floor, the second floor had guest rooms. The Cosmopolitan Hotel was built on the North side of Allen Street, East of Fourth, by Carl G.F. Bilicke. First a tent, in a few months adobe construction began for a quality hotel. A restaurant, bar, social center, sitting rooms, gift shop, and 75 beds fit on its 2 floors. Fronted by a wonderful portico with a small orange tree grove. It opened July 1880. In Tombstone's history, saloons were a popular addition to town. Miners especially needed release after their grueling day's work. They ranged from grubby little counters to deluxe establishments. Some even provided rooms for general meetings, get-togethers, and even church services (before chapel construction). Mt. Hood Saloon opened in a canvas tent on Allen Street, between Fourth & Fifth. Sylvester Comstock & Charles Brown began the enterprise in early 1879. The Alhambra Saloon opened by Irish immigrant Thomas H. Corrigan. On Allen St. midway between Fourth & Fifth. It had a stunning bar with a sort-of throne-like Gothic chair in the center. Kelly's Wine House opened on Fremont St., near Fourth, in May 1880. He opened another called Kelly's Wine Rooms 2 months later. It was larger, with a nice reading room. The Oriental Saloon was a deluxe setup in its day. The historic building still stands (as a boutique/gift shop). You can view the original bar inside, today! Located on the Northeast corner of Fifth & Allen. Women and children also lived in town. It was more difficult for them to find entertainment. With effort, they found it. The Nugget - the 1st paper in town. Founded by Artemus E. Fay, he got his news experience in PA's Daily Courier, and then Tucson's Arizona Star. A weekly, it promoted Democrat's viewpoint. The Epitaph - the 2nd primary Tombstone journal. John P. Clum started it, the first issue on May 1, 1880. His prior newspaper experience came with Tucson's Citizen. He'd had a varied career already, which gave him much worldly experience. In opposition to the Nugget, it took the Republican's stance. "The ladies of Tombstone are not so liberally provided with entertainment, and find little enjoyment aside from a stroll about town after sunset..."
CATHOLICS - Families in town were concerned with expressing their religious preferences. People felt this brought civilization to their community. They wanted to attend services with their families, as they'd done before coming to this "Wild West" town. Practicing their Catholic faith was important to many Irish people who came to town. The Mexican population felt the same. The Bishop in Tucson sent a traveling priest to Tombstone by 1879. When in town, he arranged to say Mass in various homes or vacant rooms in saloons or halls. Nellie Cashman helped get a building fund going for a church. Sacred Heart Catholic Church has undergone some renovations through Tombstone's history. It's still a historic building that can be visited today. METHODISTS - J.P. McIntyre came to Tombstone in early 1880 and gathered a congregation. He began a Sunday school, incorporated the Tombstone Methodist Church, and formed the board of trustees. On July 3, 1881 Pastor McIntyre was officially appointed as Tombstone's Methodist minister. He'd worked hard to start the congregation, including raising funds to build a chapel. PRESBYTERIANS - In mid 1880 James Woods came to town at the request of the Board of Home Missions. He was a minister, but had experience mining in California. He was a logical choice to start a congregation in Tombstone. Upon arrival he invited people to a service. A month later he spread the word he'd be forming an official congregation. He started building a church. This historical building still stands today, on 4th Street, north of Fremont. It was completed by the end of 1880, at which time he moved on. With families, come children. Schools are needed. Tombstone parents were concerned for their children's education. The first school opened in February 1880. It was tiny, with a dirt floor. The kids were crammed in. Only a tiny blackboard was on the wall. The teacher, irritated at the circumstances, quit after just 2 months. In June of 1880 another school opened in a room at Sixth and Fremont Streets. 25 kids started. More and more came until 91 were crammed into a room that barely fit them. Finally the Territorial Superintendentof Public Schools approved forming a school district. Funds came from various sources to build a proper school on a donated lot on Fourth Street. They finished it at the beginning of 1881. But they ran out of money to buy desks or other needed fittings. It had 2 school rooms. They brought in wood planks as seats and desks. Only 80 pupils were generally in attendance. Not an ideal situation. The Territorial Superintendent's brother took notice. In September he donated his own money and purchased desks and school books. The school board was then primed to give more support. Attendance increased, until the school overflowed with over 130 students. 2 local halls had to be rented as school room facilities. By autumn 1882, five teachers taught kids from six to eighteen. Another schoolhouse was built in 1883. It was a two story wooden structure on Seventh Street - between Fremont and Allen. In looking over Tombstone's history, that area is still school property today. The Chinese population mainly kept to themselves, in their own community. Chinatown was contained in a few blocks. Almost to Fremont south to Toughnut, from around First to Third Street. Commercial interests sought Chinese labor to work the mines and railroads. Many Asians also farmed and sold vegetables to area markets. Some worked as cooks and household domestics. They opened laundries. Local residents were suspicious of this unique group, with customs that were odd to them. Some local Tombstone residents even formed an "Anti-Chinese League" - which put pressure on businesses to rid Tombstone of the "yellow peril." Some violent incidents happened. Even so, there were Chinese citizens who succeeded in town, and became respected citizens. Well known was China Mary - Mary Sing. Also Can Can restaurant manager, Quong Gu Kee. Both are buried at Boothill. The Mexican Community did intermix into town. The Arizona Territory had been a part of Mexico, and this ethnic group had already been living here. Many Mexicans got involved in mining. Although Mexicans worked alongside the white miners, they weren't always treated the same. In social circumstances, sometimes they all got along and were part of a group. Other times there were strained relations. The Mexicans tended to live in a specific part of town. Referred to as the "Mexican Quarter" - it covered the block of Fremont south to Allen Street, between First and Second Street. Irish-Americans immigrated to America at a tremendous rate - in the millions. They were a good percentage of Tombstone's population. Some were recent immigrants to the U.S., and others were second generation. They still had strong connections to their "mother country." Irish Land League - A local organization, a branch of the one formed in Ireland. They sponsored events at the Tombstone Driving Park - typically Irish festivals. Other European Immigrants made their way to the Wild West, and to Tombstone Arizona. Most of those were from Germany, Scandinavia, and Great Britain. Jews also immigrated, to escape religious persecution in Eastern Europe. After arriving in the U.S., some made their way West. A small Jewish population lived in Tombstone. Entering 1881, Tombstone had over 4,000 people living in town. (Under half that today!) The mines produced well, people had cash, merchants did a good business, homes were being built! It was a mining boom-town, and word of that spread throughout the country. Local leaders asked the Arizona Territory governing body to create a new county in the area. They did so on February 21, 1881 - a charter created Cochise County from the Eastern part of Pima County. They named Tombstone the County Seat. Ordinance Number 4 - Business Taxes applied to alcohol dealers. The license was $250. Then a tax applied to wholesale distribution on a graded scale depending on gross sales. A similar tax applied to lodging houses. Ordinance 4 also taxed Houses of Prostitution. Monthly fees applied depending how the business was run. It seemed all was going well. People continued flowing into town. Many were seeking mining riches - yet Tombstone mines were easily worked. Categorized as a "soft-rock camp" - that means less labor was needed to dig out a vein.1 Only 400 men in Tombstone were normally employed as miners. Many men come to town, ran out of funds, and found themselves idle. Finally they'd leave for other possibilities. The history of Tombstone Arizona tells of a number of fires. Some harmful in a limited way - but one quite damaging to the entire town! May 16, 1882 - Began in a home/boarding house on Toughnut St., when home-owner Mrs. Morton dropped a coal-oil lamp. Her property burnt to the ground. 5 near-by buildings, including the American Boarding House, also were burnt down. All before the fire department was able to prevent further spread. Stand at the corner of Fifth & Allen Street today. Look Northwest. This is the same scene you'd see after the May 1982 fire! Each time, even after the devastating fire of May 26th, Tombstone rebuilt. The towns-people invested great energy into this town! One hotel that wasn't rebuilt, though, was the Cosmopolitan. An empty lot still stands in its place today! The Grand Hotel also was not rebuilt; a new building replaced it, with areas for various tenants. The outside from walls with the arches are the only parts of the building that remains. You can view them today as part of the front walls of various businesses along the South side of Allen Street. The Sycamore Water Company was the first to get a city franchise to deliver water to Tombstone, in April 1880. They built a reservoir near their water sources by the Dragoon Mountains. Water pipes sent it on to tanks on Empire Hill. They started placing water mains in town on September 8, 1880. Sycamore located fire hydrants along the mains at intersections. During this set-up, their wagons delivered water to Tombstone. The Tombstone Water, Mill and Lumber Company formed on June 15, 1881, to supply water. They mechanically pumped water from springs in Watervale and the Dragoon Mountains. They intended to offer water at a lower cost than available from Sycamore. They also brought in ice-making machinery. The town also awarded them a water franchise. Sycamore Water was angry about losing exclusive water supply for Tombstone. In response they stopped installing fire plugs and declined further free water for municipal needs. The Huachuca Water Company formed in late 1880. Their plan tapped springs in the Huachuca Mountains, to a reservoir in Miller Canyon. They then were to pipe the water to Tombstone. The project work began September 1881. It was amazing for its time! They completed the work in the middle of July 1882. The history of Tombstone Arizona has reports of loosely formed volunteer fire protection. Settlers recognized the need as they moved in. Tombstone got its official recognition. So responsible people thought to make fire protection more official also. On September 1, 1880 volunteer firefighters organized Tombstone Engine Company No.1. They elected officers to terms. Some well-know names of the first election were Wyatt Earp as Secretary, James Vogan as Treasurer, and Milton Joyce as Assistant Foreman. In 1881, when the June 22nd fire broke out, they were called into action. The Sycamore Water Company opened their hydrants to fill water wagons. Engine Company No. 1's bucket brigades fought fiercely. The lack of fire equipment exposed the Engine Company's weakness. They couldn't contain the burn. That event motivated the formation of the Rescue Hook and Ladder Company. They wanted to get a fire truck and related, needed equipment. Organized on June 26, 1881 - they bought a used horse-drawn fire engine from San Francisco for $300. Meanwhile, Engine Company No. 1 was building their firehouse. Completed in August 1881 - this historic building is still there today, on Toughnut St., between 5th & 6th Streets. By Thanksgiving of that year they also had an engine, plus two fire-hose carts. Both volunteer fire companies had uniforms. Most important - with two water companies in town, they had high pressure water systems to effectively fight fires! Tombstone was appointed the County Seat of the newly formed Cochise County. The Board of Supervisors wanted the county to have a proper courthouse. They decided to build one at the Southwest corner of Toughnut & 3rd Streets. They advertised for sealed bids and received seven. They didn't choose the lowest, but instead the second highest! Andrew J. Ritter, a Tombstone Undertaker, bid $27,456 and received the contract. He was a friend of County Supervisor Milton Joyce (and Oriental Saloon owner). Joyce was a strong advocate of building the Courthouse. Architect Frank Walker drew plans for the County Courthouse. He was also an assistant superintendent at the Sycamore Water Company. The cornerstone was ceremoniously placed on August 11, 1882. It was completed by January 1883 - over budget at $43,000. No longer used as a courthouse, for one thing - Tombstone is no longer the County Seat. This historic Tombstone building can be toured today. It's now referred to as Tombstone Courthouse State Historic Park. The County Recorder's office fell in flames with the fire of May 1882. Bids were called for building a City Hall on that site in October 1882. Also designed by Frank Walker, its budget was $10,000. It included a jail. Today it can be seen as you enter town. An unmistakable, imposing brick building. Look for it on the South side of Fremont Street. Because of silver mining, people daily poured into town since early 1880. With only about 400 mining jobs available, not all found work. Others came thinking of going for easy ill-gotten gains. 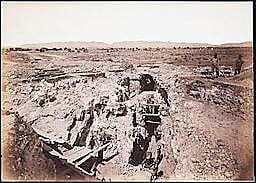 Silver nuggets in mine areas, supply wagons, and stage-coaches were targets. The Chiricahua Apache Reservation had been set up in Southeastern Arizona. It was abolished by the government in 1877. Cattlemen took advantage of the area for grazing. The cattle also became desires for rustlers. 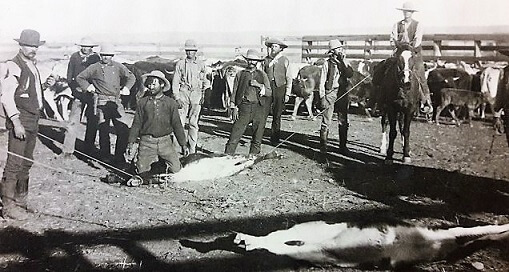 Some cattlemen were the rustlers! The term cow-boys began to be applied to them. All these people, mostly men, entered Tombstone for its entertainment value. The saloons, the red light district, and the chance to gamble. Most came in armed with guns and/or knives - then alcohol entered the mix. Often the combination led to violence. The newly formed town organization instituted Ordinance Number 9 on April 12, 1880. The purpose was to prevent violence in town. It stated that any concealed weapons - specifically guns, rifles, and knives couldn't be brought into town. An exception was with a permit. Anyone entering town would be notified, and need to put up any such weapons. Otherwise they faced a fine and/or prison time. Apache raids added to the air of danger. The army had settled many Apache bands on other reservations. But disgruntled individuals and groups sometimes set off on their own. Conflicts often happened, and the instigation could be with either side. The governor decided to allow formation of the Arizona Rangers. Its purpose was to protect Tombstone from raids, plus to act as law enforcement. Tombstone is in the Chihuahuan Desert. Yet its water table isn't deep. It's also fairly strong. This was realized when mine shafts were dug into the earth. At a certain point they began to flood. Silver and gold veins sitting under water undergo chemical changes. This decrease the ore's value. The solution was to get water pumps going. It was easier said than done. Only one suitable brand existed. Cornish pumps were ordered in November 1882. One was installed, up and running in the Contention Mine, on December 11, 1883. The other, at the Grand Central, in July 1885. Problem solving at the mines struck a note of optimism in town! Then tragedy struck in the already troublesome Grand Central pump. On May 26, 1886 a fire lit into the mine's shaft and pump hoist housing. So hot, the metal parts melted and twisted. Undamaged parts were only good for scrap. All that could burn - did. For days noxious gas seeped from the mine. Areas caved in. Water levels rose in the mines again. A considered idea was to tunnel into the Contention to get that pump's help. Then the markets interfered with hope. The value of silver was heading down, and continued so. Half the camp miners were let go by the end of summer, 1886. During the water level problems, mine management wanted to sustain their operations with a worker pay cut. From $4/day to $3/day. The Miners Union felt this was a plot to take their wages to pay for the new pumps. They went on strike. Then on May 10, 1884, the Hudson Bank in Tucson shut down. Tombstone had a branch in the Vizina & Cook Building on Fifth & Allen Streets. The local cashier closed up, and headed for Tucson to investigate. Meanwhile, striking miners gathered at the door anxious to know about their own funds. Rumors started! - That cashier made off with their money! The sheriff stepped in to avoid a possible vigilante situation. But the miners did lose their money, as the Hudson Bank had failed. It wasn't the cashier's doing! The miner's strike continued, with hard feelings all around. Some militant events happened around mining areas. A military company from Fort Huachuca was sent to check the situation. On September 1, 1884 the Miner's Union relented - accepting the $3 per day pay, and the strike was over. The owners of the Contention Mine and the Grand Central Mine were working an agreement on deeper mining. On May 1, 1887, together they formed an Arizona Corporation. They named it the Grand Central Mining Company. They hired 30 men to clean up the Grand Central, begin opening a new shaft and repairing machinery. They hired others to work adjacent mines owned by the company. 300 employees now boosted the local economy. A little Mother Nature set-back happened on May 3, 1887. An earthquake, centered in Sonora, Mexico, majorly affected Tombstone and surrounding areas. The shaking lasted about 30 seconds. But new mines opened and older mines were doing well. Things looked up for the town. Business vacancies were few, and housing was full. But in 1890, silver price dropped once more. Then a near-fatal blow hit. Again fiery flames tried to do the town in. At the end of Christmas day of 1891, shortly after midnight, the night sky lit up around the Contention Mine. The mine hoist was on fire, flames shooting into the air as the draft from the shaft stirred its energy. It spread to all the mine buildings, including the superintendent's home. The fire companies responded, and local citizens tried to help. Only one water pipe was there for the hose to attach. The weather was cold, and it was frozen. When it finally burned out, the entire mine was in ruins. Deep mining was now out the window. The Contention management stopped all its mining efforts. A year later they shipped all leftover metal scraps to Mexico. Of the two major Tombstone mines, local employers - one was teetering along, the other was totally gone. Individual miners, who staked their own claims, were able to get by. They sold their ore to the Tucson Sampling Works, whose agent came to town intermittently. The Tombstone Mill and Mining Company still employed some miners. Those miners went on strike on May 16, 1896 for a 50 cent pay increase. After 9 days the company complied, and the men returned to work. The town was squeaking by with the price of silver just enough for support. But most businesses had left town. Tombstone had a number of newspaper publications. With this economic situation, only two now survived: The Epitaph and the Prospector. In 1890, Tombstone's population had dwindled to 1,800 - close to what it is today! With few businesses and meager numbers of customers - city support from tax revenue declined. The city government even suffered from absenteeism. In December 1893 The Bank of Tombstone closed up. They weren't able to sustain business. They transferred their assets to the other local bank - The Tombstone Bank. The commercial prospects of the town were looking more and more dire each year. By 1900, only 649 people were left in Tombstone! Use the power of the Blinn Act to disincorporate and then reincorporate to rename the town a less mournful, ominous name. The suggestion was Richmond, the first camp name. E.B. Gage and W.F. Staunton wanted to revive mining in town. In May 1900 they formed the Tombstone Consolidated Mining Company. They bought 96 good, local claims. They planned to bring in equipment, solve the water problem and get up and running. Frank Murphy was a major player in Tombstone Consolidated. He was an experienced railroader. He aimed to get the railroad from already supplied Charleston over to Tombstone. It was needed for efficient delivery of company supplies and equipment. The town had been hoping for this line for years. Murphy succeeded in pressuring Phelps-Dodge to sponsor the railroad line. Work began on July 29, 1902. They built with used rail, it reached town, and was ready to go on March 25, 1903. Two box cars were installed at the South end of Fourth Street as a station until a permanent one was built. A line extending through town to Tenth Street began on March 26th. It was ready for the community on April 5, 1903. Train service in town ran twice a day. Tombstone held a celebration for its Train Line on April 12th. Also that same year that new invention - the automobile began driving into town! Another religious group built their own worship building at Second and Allen Street. The Congregational community church was finished in 1903. The Tombstone Consolidated Mining Company's rail line was usable by April 25, 1903. But further work was needed on sections originally built as narrow gauge. Construction converted it to standard gauge, finishing in January 1906. Water pumping equipment was now installed. Much more advanced than before. Plus a crew to keep the pumps running. Some of the pumped water was used for steam power. Excess went into a gully South of town. Nearby ranchers used it for planting and cattle. Tombstone Consolidated Mining Company's success inspired others to get back into mining. Soon thereafter, November 1906, a bump up in silver price also benefited the town. Happy miners received a pay raise! Electric lighting and telephone service were also installed by 1907. New homes were built, and some new hotel establishments went up. Population that year had increased to 2,500. The area near Boothill was now crowded with new homes. Known as the Bowman addition, it was annexed as part of Tombstone in March 1907. It's April 21, 1907, 1 p.m. Charles Gage had his horse hitched to a wagon near the Southeast corner of 5th and Toughnut Streets. The horse starts to stumble, Gage jumps off the wagon seat to figure out what's wrong. The horse, the wagon, and the ground all disappear into a caved in hole! Gage is right on the edge!! Eventually becoming a mine tour, this had been the roof of a part of the Good Enough mine. It was only about 12 inches thick when it caved in! The horse, amazingly, wasn't injured - and was brought out. The area was fenced in, and became a sight to see! It was thought the new train coming through disturbed the soil and weakened the crust. Can good times never last? The people of Tombstone must have wondered! The stock market crashed. Large companies couldn't meet their payrolls. Unemployment surged. For the next year silver's value dropped by over 3 cents an ounce. It forced Tombstone Consolidated to cut 3 mine operations and unemploy 50 miners. Fire erupted again - at the Lucky Cuss. But the company managed to recover by the end of 1908, with the help of superintendent James Macia. Still problems weren't over. The fight to keep water out of the mines was continuous. Pump maintenance was an issue. Getting needed timely repairs and replacement parts was at times difficult. The financing institution for Tombstone Consolidated - Development Company of America - wasn't managing their books very well. That discovery happened when liens were filed for three months of back pay! To solve it, they reorganized - filing bankruptcy. F.M. Murphy put $40,000 into a bank account. He was ensuring his employees got their back pay and Tombstone businesses got paid. It took two years to complete the bankruptcy proceedings. Tombstone Consolidated was offered for sale. Purchased by Phelps-Dodge for $500,000 on July 8, 1914. The new owners began work soon afterwards. They brought in their own management team. They hired 300 men to work the mining positions. The U.S. economy at that time wasn't booming. So Phelp-Dodge took a slow, but steady pace at developing their new purchase. By the middle of the next year they employed 60 more workers. August 1914 war broke out in Europe. The Selective Service Act began on May 18, 1917 as the U.S. entered the war. 680,000 were to be drafted, Arizona's portion was 3,472 men. 443 were initially ordered to report for induction in Tombstone. The American mining industry was nervous about the war's effects. Copper became a limited contraband for European allies. American copper mines let workers go. Men in the Bisbee copper mines found themselves out of work until a resurgent need in mid-1915. A helpful circumstance was Western silver mines often have manganiferous silver ore. Tombstone mines were no different. Manganese was an important need during World War I. Tombstone was the prime producer in the U.S. By early 1917, Phelps-Dodge Tombstone had hired a total of 600 employees. The company followed the war circumstances. They recognized when peacetime was at hand, and shut down most of the big mine production. Then fully shut down their own shafts on April 1, 1918. Many of their employees left town, looking for mining jobs elsewhere. Phelps-Dodge leased out smaller gold and silver ore mines on their property. Other mining men from surrounding areas rushed in to look at getting these leases. But 1918 saw an economic slump. The Chamber of Commerce considered that tourism could be a life-saver. Then the U.S. government got involved in silver, with passage of the Pittman Act that April. For four years after its passage, the government was the silver purchaser for all U.S. silver mines. The affect was a price skyrocket. Again, those good times ended. The government's purchasing through the Pittman Act ended on May 31, 1923. Silver's value immediately dipped. Local mine leasers did manage to hang on. Tombstone had a period of stabilized lull. The remaining miners earned enough to get by. Tombstone was the County Seat. Court was held there, and legal documents filed there. Many lawyers had offices and homes in town. Others did regular business in town. The Tombstone Epitaph still published. But it absorbed the other town paper, the Prospector. In 1914 Arizona prohibition ended all local saloon businesses. Influential local business owner, Mary Costello, owned the Crystal Palace Saloon. She sold the beautiful bar with its fixtures to outifits in the border town of Naco, Sonora, Mexico. The Crystal Palace was then reinvented as the Crystal Theater. Renovations changed it to show movies. The grand opening feature on February 26, 1915 was The Tenth Commandment. After WWI, the government began a program of road construction. More and more automotive traffic was entering town since that first car in 1903. With an eye to town improvement, Allen Street was paved in December 1922. Arlington Hamilton Gardner was the first local to believe tourism was a good commercial idea for Tombstone. He had a wide variety of work experience. That included supervising road construction for Cochise County. He became the Secretary of Tombstone's Commercial Club. And he understood travel. He was also Regional Vice-President of the Western Division of the Broadway of America Association. Broadway of America was a cross-continental road route to link the East Coast of the U.S. with the West Coast. Road-work began for it at the end of WWI. As a program by the government to rev up the economy, it also built up the country's infrastructure. The Broadway of America route through the West was U.S. 80 which went from Dallas TX to San Diego CA. It also went right through Tombstone - Fremont Street. In early 1919, Gardner became part of the Chamber of Commerce Publicity Committee. Author Frederick Ritchie Bechdolt visited Tombstone for research mid-1919. He met with Gardner, as his "area tour guide" to meet locals, and visit historic areas. Bechdolt wrote articles for the Saturday Evening Post called "Stories of the Old West." Tombstone Arizona received country-wide attention! Bechdolt had spoken to John Slaughter, the only interview he ever gave. He wrote about him in the June 3, 1921 issue of Adventure Magazine. All his Western stories were published into a book: How the West was Won. Gardner saw to it that the book received all publicity possible. The caved-in Good Enough Mine was called "The Million Dollar Stope"
More writings about Tombstone followed, including by Gardner. The Epitaph, with a new owner, William Kelly, joined in the promotion of the city. Together with Gardner they led a plan for a 50 year city anniversary. They'd return it to the look and feel of the 1880s. The city council gave its support, although many citizens were skeptical. It was planned for the third week of October 1929. It coincided with Tombstone's 50-year anniversary. The council decided on the name "Helldorado" - and so it was in the works. Historians and citizens from those days were on an advisory committee. The town got a good refurbishment and scrubbing! The Bird Cage was repaired and cleaned up. The Crystal Palace received another face-lift. Their prices dropped - further and further. Credit was no longer available to companies, never mind the average Joe! Throughout the country millions lost their jobs by the end of 1930. Tombstone was no different. Phelps-Dodge cut production and decreased working days in the mines. Then at the end of 1931 they totally shut down the mines in Tombstone - including the leased mines. Miners were unable to pay their rent or support their families. If they were single, they just left town. Married men and those with families got together on downtown street corners. They passed the time and wondered what to do. The Red Cross was able to supply assistance, particularly for families and children. Relief agencies formed, including the Cochise County Unemployment Committee. Phelps-Dodge contributed to fundraising efforts. They also specifically helped some of their long-time employees' families. But still many were hungry and malnourished. Some stole food where they could. Children suffered ill-health consequences. In the Spring of 1932, a new mining corporation filed, and started operating. The San Diego, Last Chance, Grand Central and Empire claims started up again. By summer there were 150 miners at work. In 1939 the government entered the silver game again. A bill passed setting the price at just under 71 cents an ounce. The bill was good for two years, with possible renewal. It kept things on a bit of an even keel. East of Tombstone at the Extension Mine in Emerald Gulch. Zinc was mined in Bisbee, 23 miles Southeast of Tombstone. Local miners received military deferments to work in these mines. After the war, the Federal Government helped. Manganese was again desired. A program offered to cover portions of mining exploration and also bought the ore for five years. But six more fires plagued various mine claims over the years. In Tombstone Arizona history, from 1950 until 1990, scattered attempts at mining took place. Tombstone's pioneering Escapule family formed a company called the Escapule Mining Association. Other Escapule family members formed other companies, all to delve into mining areas. That included Dustin "Dusty" Escapule as the General Manager of Tombstone Exploration Inc. They termed it "economical mining." Escapule started an open pit, consuming a hill South of Tombstone and the old Grand Central Mine. By the late 1970s, some mining professionals felt the Tombstone area was spent. Although some ore value was left, it was not worth the investment to get to it. That's why open pit was thought to be the method of the future - but not so. Costs vs. effort, pollution dangers, and government paperwork made it unreasonable. So by 1990, it essentially came to an end. It was November 20, 1929 that Cochise County voters expressed their opinion on locating the County Seat. Still remain in Tombstone, as the town residents were fighting for? No - twice as many ballots went to moving the County Seat to Bisbee, where a new Courthouse was offered. The City of Tombstone brought the issue to the State Supreme Court. On July 7, 1930, Tombstone Arizona history will always reflect the loss of the County Seat. A secondary effect was the Tombstone Epitaph's loss of the County printing contract. Ownership had turned over a few times. The latest owners were Walter and Edith Cole. They did what they could to keep it running as the town's historical feature. Beginning in the 1930s, A.H. Gardner and Epitaph owners, the Coles, got together. They riled up the community to promote Tombstone, keeping it a historical and living town. At the end of 1933, Prohibition was repealed, which opened up more opportunities in town. Broadway of America continued to bring tourists by. Roadwork locally improved Hwy. 80. Boothill was a prime attraction after its renovation. In 1935 more buildings in town were demolished. Some had historical features, and it was too bad they couldn't be saved. Some towns-folk felt bad about that. They wanted to do something to begin preserving Tombstone's history. Two local widows owned much of the property in town - Margaret C. Cummings and Mary Costello. These women got together with Gardner, the Coles and Ethel Macia, another local pioneering woman. They began to promote Tombstone's history and features. The Coles wearied of the fight, and sold the Epitaph in October 1938. New owner, Clayton Smith, used its pages to embellish Tombstone Arizona's historical accounts. He focused on tourists. Other businesses in town were doing quite well. Even a new hotel was built on Broadway of America - called "Boothill Court." Up until the end of 1940, Tombstone's opportunity was looking up. At the end of 1940, war began in Europe. Then at the end of 1941, the U.S. was attacked at Pearl Harbor. The war had detrimental effects on the local economy. The population in town took a nosedive to 822. Many businesses closed, others got by. A few buildings of significant historical note burned down. A unique treatment came to Tombstone in September, 1945. Father Roger Aull opened a medical clinic called the Tombstone Medical Center. It specialized in a breathing technique. He helped develop it from an invention by Ray Morrison of Barstow California. Aull used Morrison's device to treat people with respiratory and joint problems. It was called the Halox Therapeutic Generator. Medical science did not authorize this technique, but his patients championed it. They came to town from every state in the U.S. But also from other countries. The Center gave new life to the shrinking economy in Tombstone. Some eager locals formed Greater Tombstone Inc., and bought shares in Tombstone Medical Center. Their idea was to market the town as a health capital. After all Tombstone has a mild, dry climate. At the beginning of the new year, many new businesses opened. More people were moving to town and buying homes. Everything buzzed along for a few years. Then one event halted the health capital idea. Father Aull died from a heart attack on August 11, 1948. He was 64 years old - and his clinic closed soon after that. Mr. & Mrs. H.F. Ohm, current owners of the Bird Cage Theatre spruced it up in 1947. It was previously owned by Charles & Margaret Cummings. They used it to store antiques, town mementos and Native American baskets. Margaret opened it to the public in 1934, when she cleaned it up, organized it as a museum and put in a coffee shop. Now Mrs. Ohm added restrooms, but left the inside as it was. Other historic Tombstone buildings and areas were reviewed for renovation and reinvention. When the County Seat moved to Bisbee, the town purchased the Courthouse for a bargain. Discussions centered on ideas for the building. It was a mess, and kids and teens were even were using it to hide out and play inside. Even with the historical parts of town that were available, Boothill was the draw. Most travelers on the Broadway of America came through town - and there were many - and stopped there. Not very many came into town, along Allen Street. Hollywood film Production Manager, D'Estelle Iszard often visited Tombstone. He realized most travelers didn't know the historical significance of the town. He saw the dollars that could be spent here, weren't. He proposed to the locals that a restoration committee be formed. His idea was to restore Tombstone to reflect its Old West history. It could be an Old West town in the same vein as Williamsburg in the East. He felt it should look like the 1880s. Put up old-time building fronts, build boardwalks, restore and open historic points - such as the O.K. Corral. His ideas were taken to heart. A committee was formed to speak with business owners about their opinions. Iszard raised initial funds for introductory promotion. He intended to raise much more in Hollywood. Unfortunately, the hub-bub did not meet expectations. Not much happened after the original to-do. Some Tombstone citizens were not really into it. Iszard's Hollywood fund-raising did not go well. He truly didn't want commercial backing. Then when he needed it, he couldn't get it anyway. He felt great disappointment, and returned to California. Typically restoration requires much financial investment. But beginning efforts do not have to cost much. Not all citizens were open to this change. So Tombstone Epitaph owner Clayton Smith began a campaign to convince them. The aim was to set up a historic district from Third to Sixth Streets, and Fremont to Toughnut Streets. A Restoration Zoning Commission would authorize building codes and changes within that area. The Epitaph's work helped. Ordinance 146 passed on April 10, 1954. This authorized the Restoration Zoning and its Commission. The Courthouse was the first project under the new ordinance. Other buildings followed. One sad event is that railroad service was discontinued in 1960. For three years Tombstone fought the railroad on its ending the line, but didn't succeed. They cut the routes to all Southern Arizona towns of Patagonia, Fort Huachuca and Fairbank. Tombstone repurposed the station house into its public library. On for 1 year - put the town of Tombstone, the "Town too Tough to Die" in the awareness of many Americans. It was canceled after the first year. Many wrote to complain & they brought it back for another year. Tourism jumped off the books with the help of these shows. Then films based on the Wild West, and in particular - based on Tombstone itself, also helped. Tombstone Arizona history started to capture the public's interest more and more! The National Park Service noticed the interest in Tombstone's history. They made an agreement with the City on July 10, 1961 to make Tombstone a National Historic Landmark. The city agreed to continue its zoning plan for preservation and restoration. In 1966 the National Historic Preservation Act was passed. Some local business owners now refurbished their own frontages to reflect the Old West. That included the former Oriental Saloon building and the corner now housing the Longhorn Restaurant. The 1960s and 1970s continued to bring in visitors. Tombstone Arizona history captured the imagination of so many. Especially so after watching the Westerns on television and in the movies. Or reading Western novels. They wanted to see where these events took place, and connect them to what they'd seen on the TV screen or the Big Screen! A boardwalk on Allen Street to reflect 1800s history was completed in 1975. Arizona State Parks helped pay the cost. Tombstone was starting to capture the look of a Wild West town. The atmosphere for visitors usually gave them what they were looking for. But did they always learn the true history of the town? Not exactly. It was more a romanticized good versus evil overview of the Wild West. With the excitement of the pioneering days. Tombstone was seeing decent economic times as a result of vacationing visitors. It was a replacement for the now defunct mining ventures. Local people finally were realizing that. They wanted to restore and reconstruct these areas to their 1800 appearances. They used a historical consultant for accuracy. Eventually the corporation sold out businesses to individuals or other companies. Or they donated properties to the City of Tombstone. Visitors can visit town, check out the O.K. Corral, and see the attractions. But they may not get a good feel for the history of the town. Some of the local museums will help with that. A good walking tour will also help. It could be that is all a lot of people want. Just an overview, with some fun and entertainment. And that is fine. We hope when people visit, they will appreciate at least some of its authentic history. It isn't an amusement park, or an artificially built Wild West town. It is a city that is real, with a history from the 1800s. We who live here take pride in that - and welcome you to come here and enjoy what the town has to offer! 1 Daily Nugget, December 2, 1880. 2 Daily Epitaph, June 28, 1882. 3 Parsons, George W. (1996). A tenderfoot in Tombstone. The private journal of George Whitwell Parsons: The turbulent years, 1880-82. p 72, Westernlore Press, Tucson AZ. 4 Prospector, October 3, 1922. 5 Epitaph, January 5 & 12, 1950. Bailey, L.R. (2004). Tombstone, Arizona: "Too tough to die" The rise, fall, and resurrection of a silver camp; 1878 to 1990. Westernlore Press, Tucson, Arizona. A prime general resource.